With a student body of nearly 54,000, Florida International University (FIU)—ranked 10th among the nation for largest public university—utilizes Jetbuilt to create more professional and efficient proposals for technology projects throughout its campus. 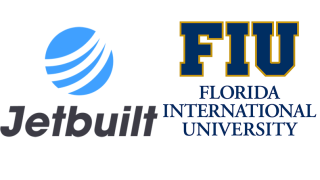 With Jetbuilt, FIU’s Media Technology Services department has increased accountability for billing internal client needs, project sharing information, product inventory, and tracking proposals, filling the need for a versatile, reliable proposal building and project software for Miami’s only public research university. FIU’s Department of Media Technology Services is the in-house custom integrator for technology in the university’s common areas, as well as for various departments with specific technology needs. Recognized by Bloomberg Business Week as the leading college for diverse business studies, FIU has two major campuses, located in West Miami-Dade County and Biscayne Bay. With a large campus, it can be cumbersome to keep proposals and products organized in order to maintain the technology to provide the highest-quality learning for students, making it crucial to have a reliable resource. With integrated product database, dealer pricing, team collaboration, change orders, purchase orders, word orders, QuickBooks integration, and project overview page, Jetbuilt helps integrators in nearly every aspect of business management. “We’ve been using Jetbuilt for over a year now and it’s been a great asset to our department, because we no longer have to import any data, which we were manually doing with our Excel spreadsheets,” Bromfield said. “Jetbuilt has accurate information about manufacturers and MSRP [dealer price and MAP], doing all the work for us, and automatically filling in our prices. Previously, we were using Google with part numbers to verify prices and other details, so we’re able to cut back on time spent creating proposals. It’s a beautiful thing. It’s really made our life that much easier because we’re able to spend far less time creating proposals and more time completing installations. “With Jetbuilt, we can see how many proposals have been sent out and track how many projects that have received approval. It has allowed us to be more accountable because we can track patterns. We can see which products we’re using most frequently to ensure we keep the particular products in stock, to cut back on turnaround time. It’s also been helpful on many occasions when my superiors or department leaders have reached out for stats related to the department. We can easily pull the revenue for auxiliary projects to show how busy we are and how many proposals we’ve generated and closed. In my department, we pull all of the money together into one account, including both state funding project revenue and auxiliary revenue, and with Jetbuilt we can determine difference in revenue, allowing us to decipher our ‘real’ profits and potentially receive a greater share of the money in the account to reinvest in our people. Jetbuilt allows users to collaborate with a team on any project and is compatible with Windows, Mac, and iOS. Its cloud based technology allows a team to work anywhere without the hassle of VPN routers. Jetbuilt features hundreds of thousands of AV, IT, and security products integrated into the system, and connects with vendors to provide direct and distributor dealer pricing, custom products, and more. More than just a proposal builder, Jetbuilt allows users to work independently or collaborate on a live project, create project scopes, budgets, and deliver request for proposals to clients, budget systems, and request and manage bids from vendors.